How do I use the catalog on my phone? When you search our catalog from your smartphone (or smaller tablet), you'll see that it's optimized for your device's screen size and that it has different options than when you access it from a device with a larger screen size. After conducting your search, you'll see search results like the ones below. To refine your results, click Filter Results and select format, author, subject, genre, or another category. You can also sort the list of results by relevance, newly added titles, borrower rating or more. 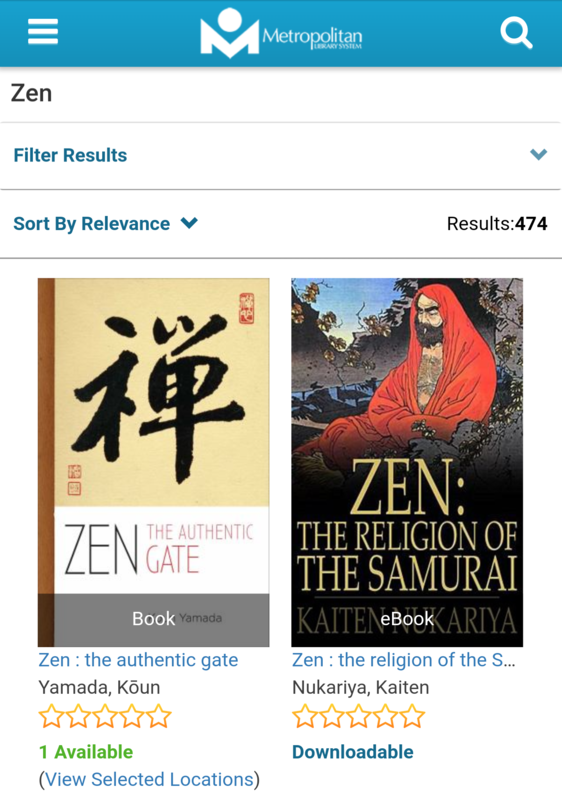 Click on the title, cover image, or the View Selected Locations link to see which libraries own the title and whether it's checked in or checked out.